DCF Commissioner Christine Norbut Beyer (center) with Nancy Ward, Ida Bormentar, Svetlana Repic-Qira, and Andrew Park of Community Options to discuss residential services for children with disabilities. 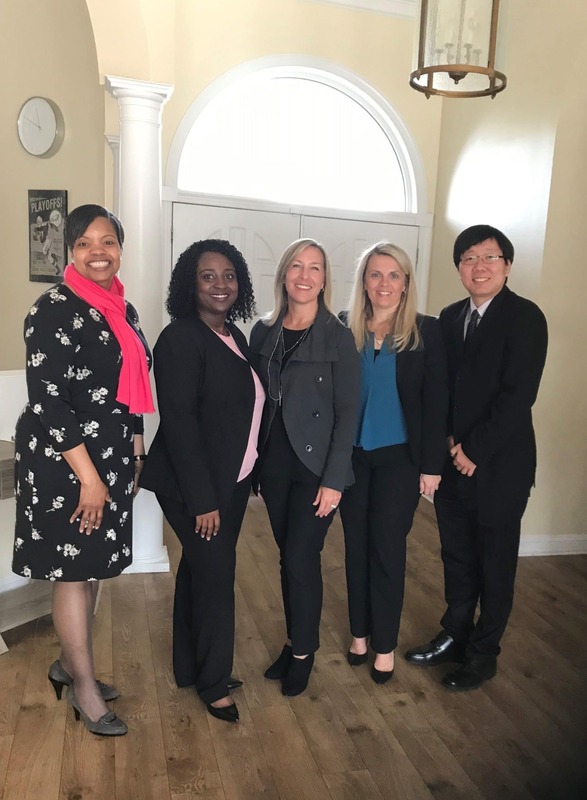 PRINCETON, NJ – Commissioner Christine Norbut Beyer visited a home operated by Community Options in Hamilton that provides services to children with disabilities on February 27, 2019. Commissioner Beyer, who leads the New Jersey Department of Children and Families, spoke about the importance of partnerships with nonprofit organizations to provide services to children with special needs. Commissioner Beyer also expressed to Community Options the ongoing need in New Jersey for program options to support children with intellectual and developmental disabilities. 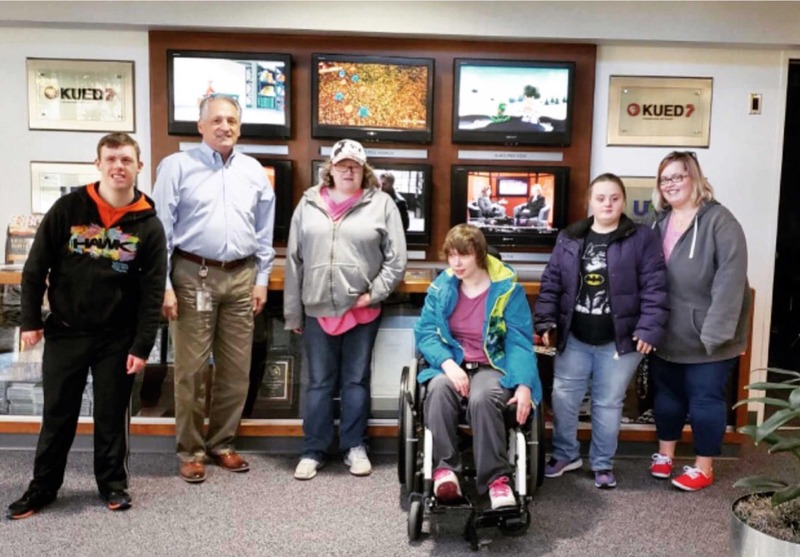 “Community Options is a valued partner for the department in serving youth with intellectual and developmental disabilities and providing options in programming,” said Commissioner Beyer. “In collaboration with our state and local community partners, New Jersey continues to build a robust infrastructure of needed services for individuals with I/DD. Community Options currently operates three homes in Mercer County to support fifteen youths with intellectual and developmental disabilities. The home in Hamilton, which opened in 2018, supports five youths. A national leader in support services to people with disabilities of all ages, Community Options also operates over 130 homes in New Jersey for adults with disabilities. Commissioner Beyer was appointed by Gov. Murphy to lead DCF in January 2018. She oversees the department programs that serve and safeguard the most vulnerable children and families in New Jersey. The state agency partners with Community Options to provide community-based housing opportunities for youths with disabilities. Community Options is a Princeton-based national nonprofit organization that provides housing and employment support to people with disabilities. 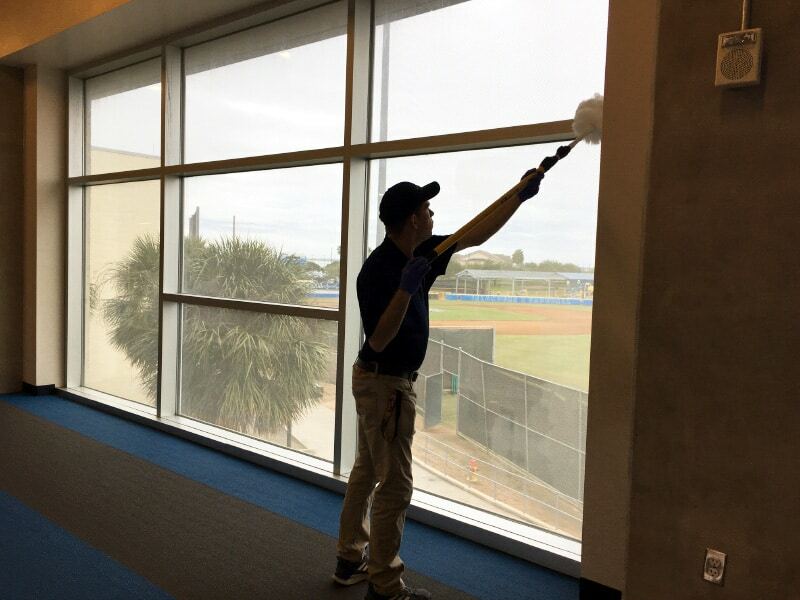 The organization employs a staff of over 5,000 and supports over 3,500 people with disabilities in eleven states. 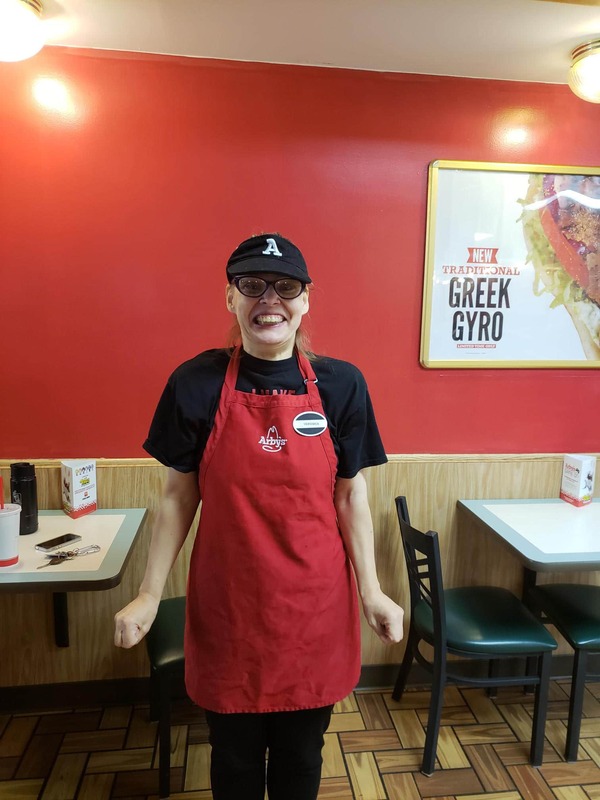 For 30 years, Community Options has developed housing and employment programs for people with disabilities – serving thousands of people through over 40 offices across 11 states. Community Options provides advocacy assistance to empower people with disabilities because all people – regardless of ability level – should live and work in the community with dignity, choice and self-determination. For more information please visit our website: www.comop.org and to follow along with the ComOpCares campaign, search #ComOpCares on Facebook, Twitter and Instagram. (Princeton, NJ) – Community Options, Inc. proudly announces the promotion of Kathryn Giron to the post of Executive Director of the Middlesex and Monmouth Counties Office. In this role, she will have direct oversight of local residential and day programs for people with disabilities, talent recruitment and development, programming, budgeting, quality assurance, and cultivation of relationships within the business community in partnership with the Community Options Business Advisory Council. Giron began working with Community Options in June 2012, originally joining as a Direct Support Professional in the Bergen/Passaic regional offices. She has earned four promotions throughout her tenure in the organization, also serving as a Community Support Manager and Coordinator, overseeing the operations of 14 local homes. Prior to joining Community Options, Giron ran Aquatics programs for the YMCAs of Union and Woodbridge, NJ. “I came into the field not knowing what to expect and I fell in love with it. Working with the individuals on a daily basis, and watching their growth, has been deeply motivating to further my knowledge and experience in this field, and with Community Options. I am extremely grateful for the opportunity to serve as an Executive Director for Community Options, and excited to begin this new chapter,” says Giron. Giron earned her Bachelor of Arts degree in Psychology from New Jersey City University. A New Jersey native, Giron lives in Edison with her husband and son. 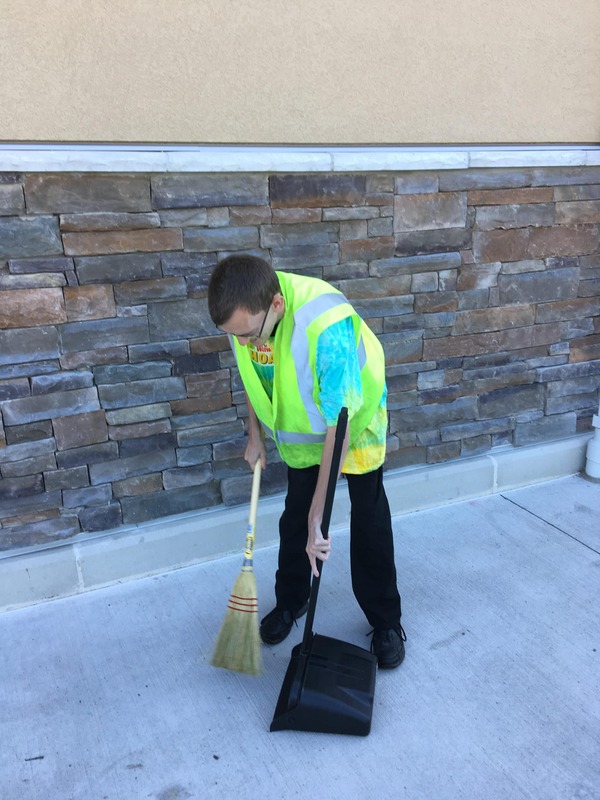 For 30 years, Community Options has developed housing and employment programs for people with disabilities, serving thousands of people through over 40 offices across 11 states. Community Options provides advocacy assistance to empower people with disabilities because all people, regardless of ability level, should live and work in the community with dignity, choice and self-determination. For more information please visit our website: www.comop.org and to follow along with the ComOpCares campaign, search #ComOpCares on Facebook, Twitter and Instagram. The nonprofit group Community Options is celebrating its 30th anniversary with the “Cupid’s Chase 5K” charity run. The national group helps people with disabilities. 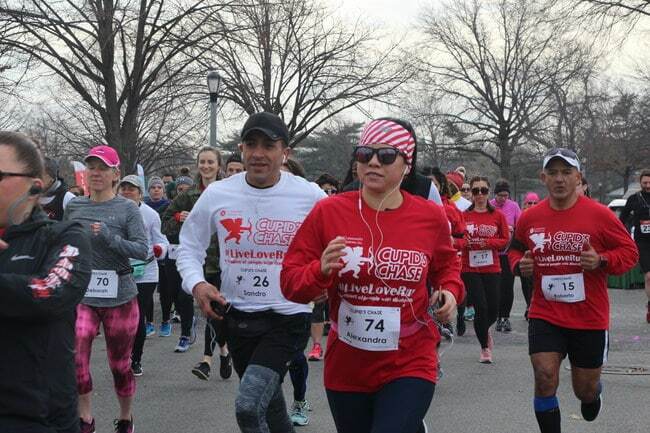 Thousands of runners in more than 40 cities across the United States participated in last year’s Cupid’s Chase 5K Charity run to raise money and awareness for adults with disabilities. 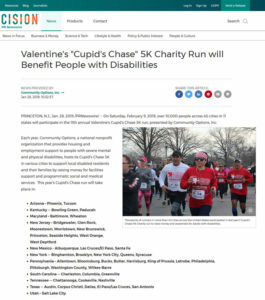 PRINCETON, N.J., Jan. 28, 2019 /PRNewswire/ — On Saturday, February 9, 2019, over 10,000 people across 45 cities in 11 states will participate in the 11th annual Valentine’s Cupid’s Chase 5K run, presented by Community Options, Inc. The Cupid’s Chase run is expected to raise over $1 million for Community Options’ annual operating expenses. Through a variety of group home management and job placement services, Community Options currently supports over 3,500 adults living and working with severe mental and physical afflictions. Since its inception 30-years ago, Princeton based Community Options has assisted over 14,300 disabled individuals. For more information, start times, donate, and to register for the event, please visit www.cupidschase.org or on Facebook at www.facebook.com/cupidschase. Community Options believes in the dignity of every person, and in the freedom of all people to experience the highest degree of self-determination. Embracing this philosophy, Community Options provides housing, support services and advocacy assistance to help empower people with disabilities. 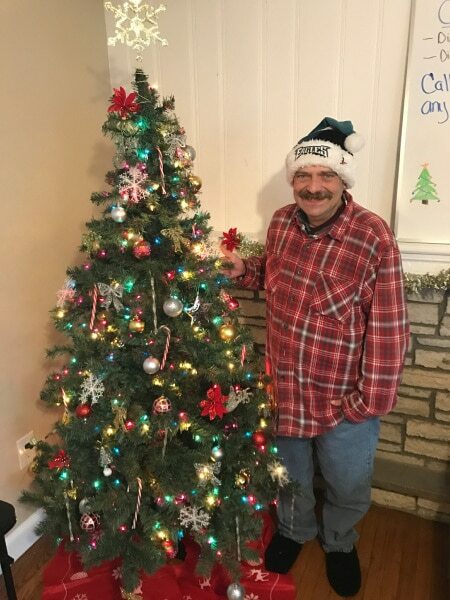 Johnny, who attends the Day Program in Allentown, Pennsylvania, enjoys the holiday season. On Saturday, February 9th, Community Options will host its annual Cupid’s Chase 5K in 45 locations across 11 states. All funds raised will be utilized to support people with disabilities supported by Community Options. There are also a variety of ways for local businesses to get involved by becoming a sponsor of any of the local races or by becoming a sponsor on a state, regional or national level. The sponsorship opportunities provide a wide array of marketing for local companies, with all funds going to the local regions. From September 23-26, Community Options held its 12th annual iMatter Conference in Scottsdale, Arizona at the Andaz Resort and Spa. The theme of this year’s conference was “Foundations for Growth: Learning from Others”. Approximately 170 employees were in attendance to learn from their peers about a multitude of diverse subjects ranging from finding employment for those we support to fundraising and marketing. 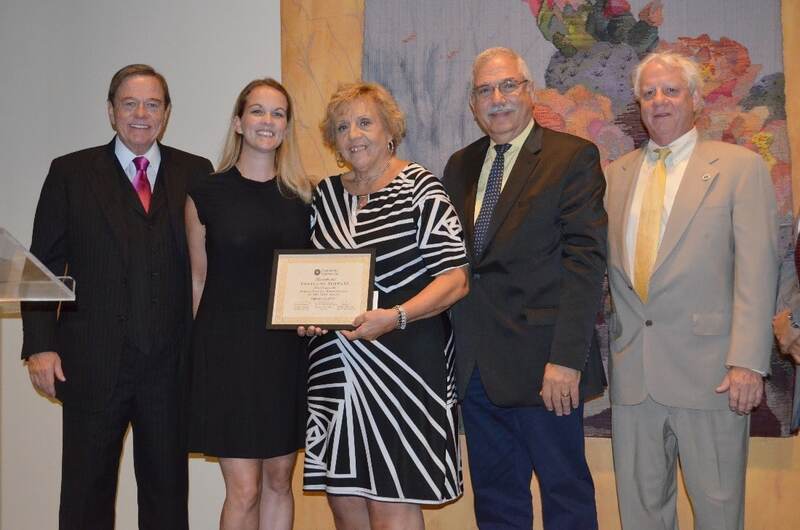 During the annual Awards Dinner at the conference, Community Options presented the “Direct Support Professional of the Year Award” to Geraldine Schwartz from Morristown, New Jersey. The 2019 conference will take place May 6-9, 2019 at the Nassau Inn in Princeton, New Jersey. The conference will culminate with the 30th Anniversary Gala of Community Options on May 9, 2019 on the campus of Princeton University. Pictured from Left to Right: Robert Stack, President and CEO; Tracy Mendola, Executive Director of Morristown, New Jersey; Geraldine Schwartz, Direct Support Professional of the Year Award Recipient; Philip Lian, Community Options Enterprises Board Chair; Peter Dulligan, Community Options, Inc. Board Trustee. Community Options proudly opened its new Day Habilitation facility in Amarillo, Texas this past fall. a staff of 11 employees. 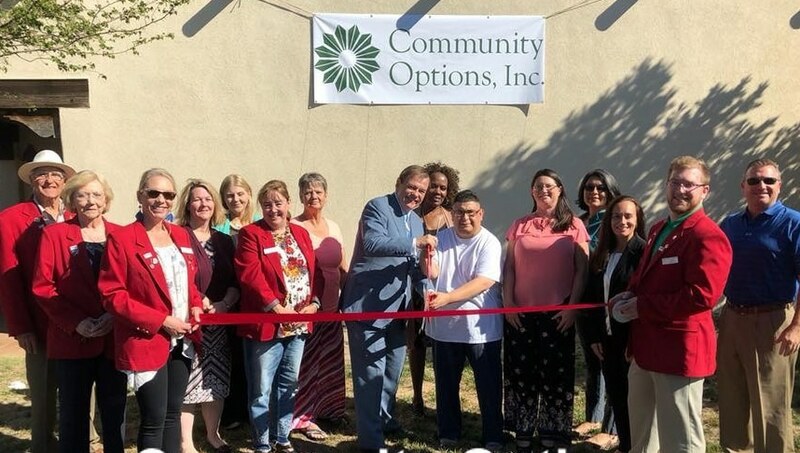 Pictured in the center are Robert Stack, President and CEO of Community Options, and Mark Matos, supported by Community Options Amarillo, cutting the ribbon to the new Day Habilitation program in Amarillo, Texas. Also pictured are Community Options staff and members of the local Chamber of Commerce. In September, Community Options received a grant from the Sorenson Legacy Foundation, a nonprofit established by James LeVoy Sorenson and Beverley Taylor Sorenson for the purpose of promoting charitable endeavors. The grant will support the new Meaningful Day Program in Salt Lake City, Utah, which assists people with intellectual, developmental, and physical disabilities in becoming active members of their local community. “The Sorenson Legacy Foundation grant will enable our staff to provide true community engagement and assist our individuals to live self-determined lives,” says Shannon Wilkins, Executive Director of Community Options in Utah. The program offers people with disabilities opportunities for meaningful engagement in local communities. Each unit culminates in an excursion that allows participants to apply what they learned. Individuals have the opportunity to learn about utilizing public transportation, voting and self-advocacy, visiting local museum exhibits and galleries, volunteering, and more. The grant funding provided by the Sorenson Legacy Foundation will provide one year of support for the Meaningful Day program in Salt Lake City, Utah. 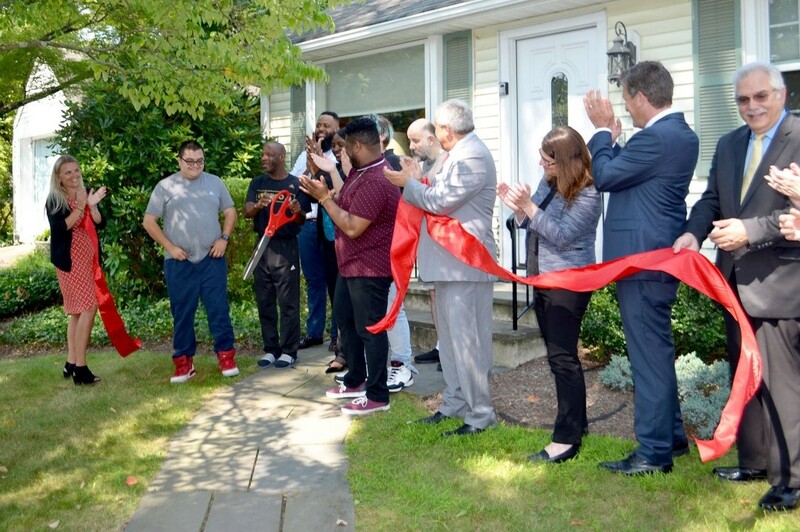 In August, Community Options celebrated the grand opening of its fourth four-bedroom home in Princeton, New Jersey. Pictured are Svetlana Repic-Qira, Regional Vice President of Community Options; Jack and Ricky, residents of the new home in Princeton, New Jersey; local Community Options staff; New Jersey State Senator Kip Bateman; Princeton Mayor Liz Lempert; New Jersey State Assemblyman Andrew Zwicker; and Philip Lian, Community Options Enterprises Board Chair. Electric shock to apply notable pain on mice and other animals for experimental behavioral response was legally used to apply to persons with autism and other disabilities until now. 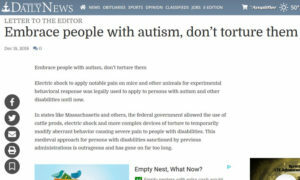 In states like Massachusetts and others, the federal government allowed the use of cattle prods, electric shock and more complex devices of torture to temporarily modify aberrant behavior causing severe pain to people with disabilities. This medieval approach for persons with disabilities sanctioned by previous administrations is outrageous and has gone on far too long. Many individual states had the wisdom to outlaw the use of aversive electric shock on persons with autism and intellectual disabilities. Other states did not. The federal government remained silent on this subject, until now. After decades of letter writing, testimonies and a variety of other methodologies to educate public officials, finally FDA Commissioner Scott Gottlieb in his newsletter stated that “we’re also planning to issue a final ban on electrical stimulation devices used for self-injurious and aggressive behaviors. 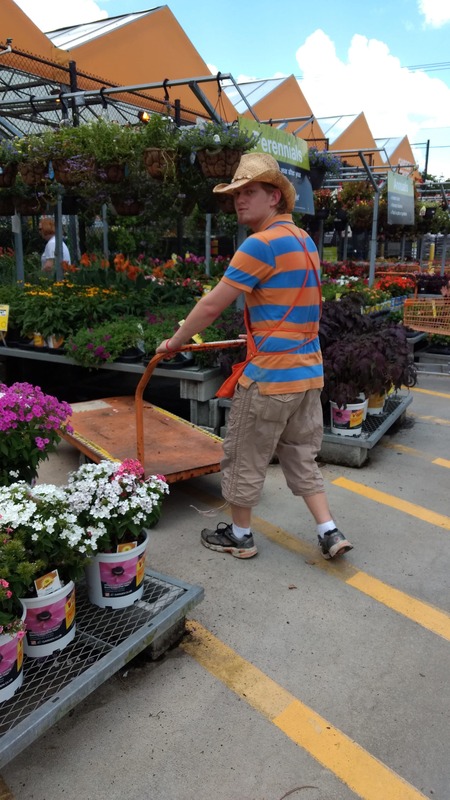 We support thousands of individuals with significant disabilities nationwide in small group homes and their own homes, as well as in community jobs and programs. We use positive approaches regardless of any behavior. It has worked since I founded this organization 30 years ago and hopefully with the help and wisdom of the federal government it will become policy for every organization to follow. – Stack is president and CEO of Community Options, a nonprofit supporting people with disabilities nationwide.